Barcelona is a well-known destination for travelers who wish to have a good mix of fun and culture in a modern setting. Knitted in this unmistakable urban fabric you will some unusual and well-known buildings of a single architect named Antoni Gaudí. His unique approach to the Art Nouveau movement generated some of the most creative buildings you will see in this Spanish region known as Cataluña. Not only this is Gaudí’s first important building (and residence), but it is also considered one of the first Art Nouveau buildings in the world. Built between 1883 and 1888, Casa Vicens is an imaginative residential project made for a wealthy family that owned a ceramic factory. Gaudí expressed the client’s professional background through the use of ceramic tiles in the “trencadis” façade, which contains a significant variety of ceramic decorations. 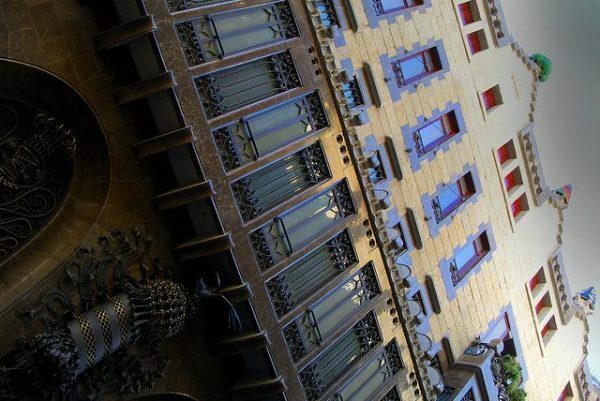 Gaudí designed it as a reflection of Neo-Mudéjar architecture – a popular style that can be seen throughout Gaudí’s architecture, blending oriental and neoclassical design elements. You can also see some Islamic architecture influences in its façade and some of its rooms. Today it is a museum showcasing Gaudí’s first masterpiece as well as other permanent and temporary exhibits. Also referred to as “the stone quarry” due to its unusual rough-hewn appearance, Casa Milá is one of Barcelona’s most popular modernist buildings. UNESCO recognized this building as World Heritage in 1984. 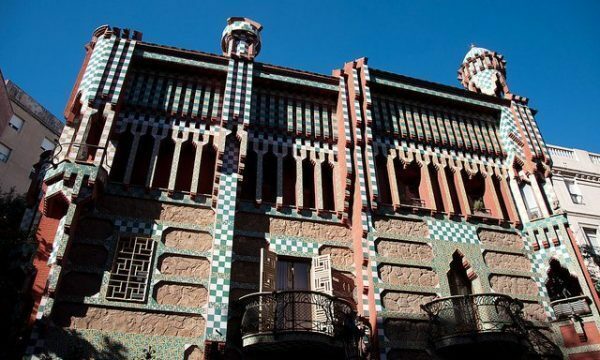 Built between 1906 and 1912, this is not only Gaudí’s last private residential design but also one of his pain projects and one of the most imaginative houses in the history of architecture. It is more of a sculpture than a building. The façade is a varied and harmonious mass of undulating stone that, along with its forged iron balconies, explores the irregularities of the natural world. The entire building, both interior and exterior are worthy of admiration, but one of its most iconic spaces is its spectacular roof terrace. In it, you’ll see a series of sculpted and decorated skylights and staircase exits, chimneys, and vents. Typically these are unsightly elements required for the building’s functionality, but here they are a piece of art. From the basement to the terrace, Casa Milá is a total work of art. I highly recommend visiting it with one of these tours. Parc Güell was commissioned to Gaudí by one of his biggest clients, Eusebi Güell i Bacigalupi, the count of Güell. It was built between 1900 and 1914 and today is part of the UNESCO World Heritage. 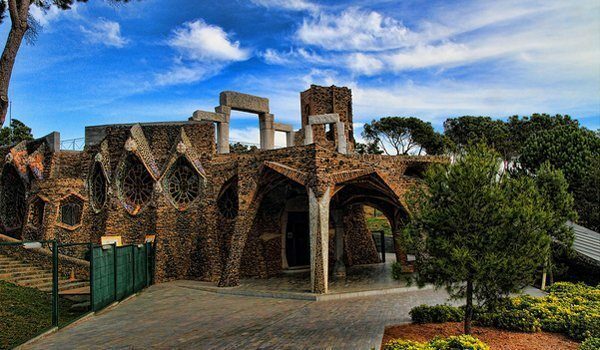 This is a garden complex that houses a series of dynamically designed buildings, including Gaudí’s house. It is here where Gaudí perfected his personal style, which was greatly inspired by organic shapes (his naturalist phase). 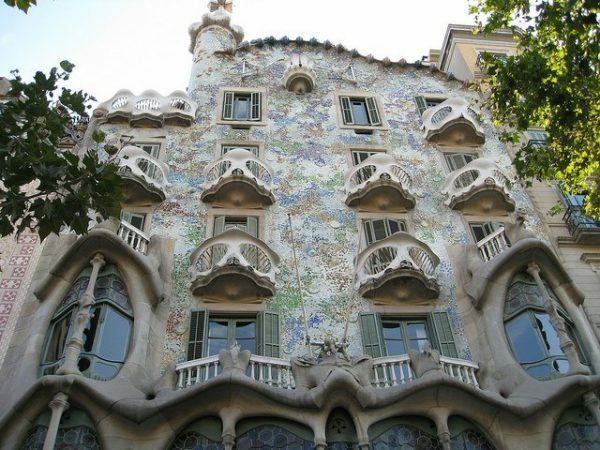 Most buildings have the “trencadis” (surfaces covered with irregular ceramic pieces) that is characteristic of Gaudí and Art Nouveau. The colonnaded hall and the terrace with serpentine shapes are the most famous places in this park. It is in front of the famous colonnaded hall where you see the iconic Gaudí dragon covered in mosaics. And from the terrace, you get one of the most beautiful views of Barcelona, with Gaudí’s work in the foreground, and the city in the background. This park is the perfect place to take a peaceful stroll while enjoying nature and looking at Gaudí’s artwork. Don’t miss visiting the Casa del Guarda (Caretaker’s House) to see its exhibition on Gaudí and Barcelona. While Parc Güell is almost on the city’s outskirts, it is relatively easy to reach with public transportation. Alternatively, you could reach it with one of these tours. Eusebi Güell, an industrial tycoon in the late 19th century, was not only one of Gaudí’s most important clients but also a good friend of his. Not only he commissioned the Park Güell, but also this palace and a few other works from now-renowned architect Gaudí. Built between 1886 and 1888, the Palau Güell served as the palace residence of the Güell family. The exterior shows a sober façade that doesn’t resemble other projects made by Gaudí, but it still gives us some hints of his style with the use of the parabolic arch entrance and mosaic figures on the roof. Back then, guests entered the home in horse-drawn carriages through the front iron gates designed specifically for the unique parabolic arch. While the exterior is quite sober, the interior and the roof make up for the lack of “Gaudiesque” elements on the façade. The central living room has an unusual parabolic dome, and the lounge ceiling is perforated by circles that, under the daylight, give the ceiling a planetarium appearance. The roof counts with chimneys and conical vents resembling fir trees. Palau Güell, which is now a UNESCO World Heritage site, is open to visitors. You can visit it as you tour the Gothic Quarters. This tour shows you both, and gives you an upgrade with tapas! Another Güell commission worth visiting. Colonia Güell is an unfinished building by Antoni Gaudí. Gaudí designed this irregular oval church and crypt in 1898 as a place of worship for the residents in a suburb near Barcelona. Unfortunately, after Güell lost profits from his business, construction was halted in 1914 with only the crypt completed. The crypt is built in basaltic stone bricks with mosaics that give an archaic appearance. Worth noting are the unique geometric columns often used by Gaudí, found on the interior and exterior of Colonia Güell. The interior of the crypt has five aisles: a central nave and two aisles at each side. The stained glass windows jut out over the walls to give them a stronger ornamental appearance, and on the upper part of the door, a ceramic composition shows the four cardinal virtues. The interior’s intricate details, from the roof details to the playfulness of the columns, make this church worth visiting. In a way, it is an unfinished, rough precursor of the much bigger Sagrada Familia. In addition, the construction techniques used here laid the foundation of the techniques employed in La Sagrada Familia. Finca Güell is a significant property of Eusebi Güell, but what’s interesting is not so much the complex itself; is the iron gate at its entrance. The buildings in this land were designed by other architects, but Gaudí was commissioned to remodel the house and build a perimeter wall with gates. Gaudí proposed a wall with several gates in a Mudejar-like style. Its main gate, though, is a completely different monster – literally. 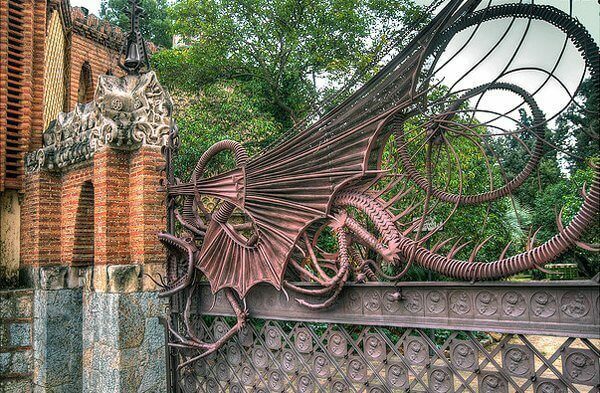 In it is a wrought-iron grille in the shape of a dragon spreading its menacing bat-like wings while showing its forked tongue coming out of its gaping maws. This gate represents the mythical dragon from the Garden of the Hesperides, which commemorates Hercules’ daring feat. This stunning dragon was manufactured by the locksmith’s Vallet i Piquer. The complex is composed of two buildings linked by a common monumental cast iron gate adorned with Art Nouveau vegetal fantasies and a medallion with the “G” of Güell. Casa Batlló is the result of a total restoration in 1904 of an old conventional house built in 1877. Gaudí used for it the typical constructive elements of the Modernisme (Catalan Art Nouveau) that include ceramics, stone, and forged iron. Even though it was highly criticized by the city during construction due to its radical design that broke all the bylaws of the city, in 1906 the Barcelona City Council awarded it the recognition of being one of the three best buildings of the year. The building is so irregular that there are few straight lines in it and much of the façade is decorated with a colorful mosaic, known as trencadís, made of broken ceramic tiles. While officially known as Casa Batlló, the local name for the building is Casa dels ossos, or House of Bones, due to is visceral, skeletal organic design. You can see some of the bone-like columns on the façade; specifically those in front of the irregular oval windows and playfully sculpted stonework on the first floor. The roof is arched and “scaled” like the back of a dragon. A popular theory about this building is that the rounded tower crowned with a turret and cross represents the lance of Saint George plunged into the back of the dragon. Saint George is the patron saint of Catalonia, Gaudí’s home. You can save money by visiting Casa Battló with this bundle ticket that gives you access to Gaudí’s highlights in Barcelona. Casa Calvet was built between 1898 and 1900 for the Calvets, a family of textile industrialists. Architects and scholars agree that this is the most conventional of Gaudí’s works. This is due to the fact that it had to be squeezed in between older structures and because it was located in one of the most elegant sections of Barcelona. The stone facade reflects Baroque influences, along with its bay windows, sculptural decoration, and interior decorations. Its balance, symmetry, and orderly rhythm are unusual for Gaudí’s style. Still, you can see a bit of his design language in certain details. The shape of the balconies can be seen as a forerunner to shapes used at Casa Batlló, where Gaudí turned much more to the inspiration of nature. The roof is topped with two pediments, each supporting a wrought iron cross. They are surrounded by various pieces of stone ornamentation and crowned with statues of San Genis and Saint Peter – Calvets saints. Sagrada Familia is the most famous of Gaudí’s works – his masterpiece. This church has been in construction since 1892, and it’s not expected to be finished until 2026 — to commemorate the centenary of Gaudí’s death. Construction of Sagrada Familia started in 1882 under architect Francisco de Paula del Villar, but by 1883 Villar resigned, giving Gaudí the opportunity to take over as chief architect. With his own design language, Gaudí transformed the project from a typical cathedral to the masterpiece we know today. He combined Gothic with curvilinear Art Nouveau forms and his own geometric style. Gaudí devoted the remainder of his life to the project. At the time of his death, less than a quarter of the project was complete. Gaudí died at age 73 in 1926, when he was run down by a tram. He is buried in Sagrada Familia’s crypt. After Gaudí’s death, construction progressed slowly and was halted several times by events like the Spanish Civil War and revolutionaries partially destroying Gaudí’s original plans, among others. While construction is now going at a faster pace, ten more spires are still to be completed, each symbolizing an important Biblical figure in the New Testament. The central spire is the tallest of all, representing Jesus Christ. It is to be surmounted by a giant cross, reaching a height of 170 meters (560 ft), standing at just one meter less than the height of Montjuïc hill in Barcelona. Gaudí believed that his creation should not surpass God’s creation. The church presents an excellent depiction of the relationship between man, nature, and religion through its architecture and façade sculptures. The way light bathes and plays with the interior space with various hues of colors is one of the most impressive aspects of this building. Climbing one of its towers on the Nativity and Passion Façades will give you a unique view of Barcelona. Take the audio tour, is very informative and it’s well worth it. Also, due to its popularity, long queues are to be expected, so I highly recommend skipping the line by going with any of these tours. 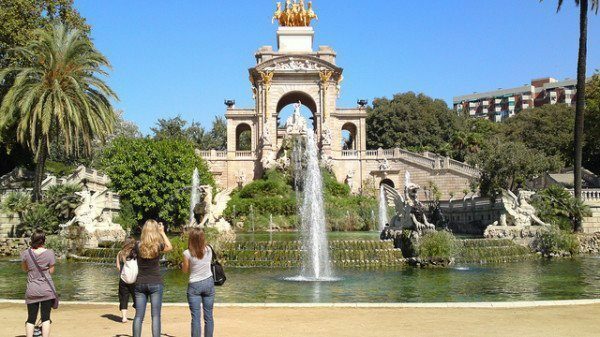 Last but not least, is one of Gaudí’s very first projects – the fountain located at the Parc de la Ciutadella, one of Barcelona’s most famous parks. The Cascada was designed by Josep Fontseré in 1881, specifically for the universal exhibition in 1888, with young Gaudí as an assistant. The inspiration for the Cascada was the famous Trevi Fountain in Rome, Italy. The fountain counts with several sculptures of horses and mythical creatures. Among these sculptures is also that of Venus standing on an open clam – designed by Venanci Vallmitjana. As you can see, Gaudí’s architecture is full of unusual and unexpected characteristics that are not seen in other buildings, let alone other cities in the world. It’s no surprise why this architect’s works make great sightseeing destinations that without any doubt will create an impression on you. If you’re interested in seeing several of his buildings, I recommend taking any of these Gaudí focused tours to save money and time. 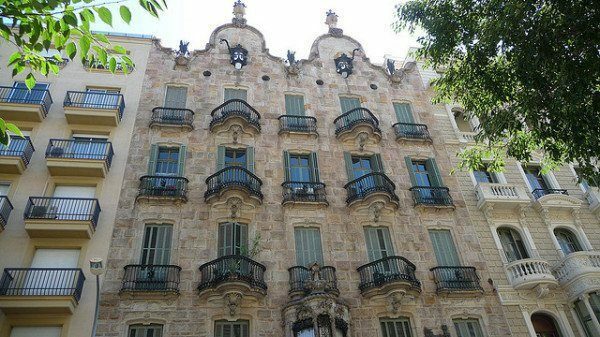 If you’re traveling to Barcelona and you’d like to stay in the center, near all these beautiful buildings by Gaudí, then I recommend checking the best reviewed hotels on TripAdvisor to pick the best one for your trip. I also recommend checking out these hotel deals in Barcelona with HotelsCombined. For activities, Viator offers dedicated tours of Gaudí’s buildings in addition to tours covering all the highlights in the city. Not to be missed! If you still have to book your flights, I recommend checking Skyscanner and Momondo as they usually come out with the cheapest flights. Lastly, don’t forget buying travel insurance to get comprehensive protection in case anything goes wrong (like getting sick, injured, theft, and cancellations). I use World Nomads and I highly recommend it. Images 1, 2, 3, 4, 5, 6, 7, 8, 9, 10 from Flickr’s Creative Commons. Very nice post and pics! I simply LOVE Gaudi and all his buildings, Parc Guell is my fave place in Barcelona! I love Park Guell! The place is so fantastical. And the view from up there is amazing. I guess, as an architect, you must find these buildings fascinating. 🙂 I do find them fascinating but do I like them? I just don’t know. The more I look at them, the more confused I become. Maybe that’s a sign of an iconic building? Wow O_O. I find them so beautiful they make me weep. I’m not kidding. Gosh, I just LOVE his fantastical work! He’s such a creative genius!!! Couldn’t agree more, his creations definitely make Barcelona even more interesting. I love his style, it’s so different and unique. I am sobbing while looking at the buildings !! Such talent. Listening to Alan Parsons Project Gaudi at the same time. Makes it more intense …. 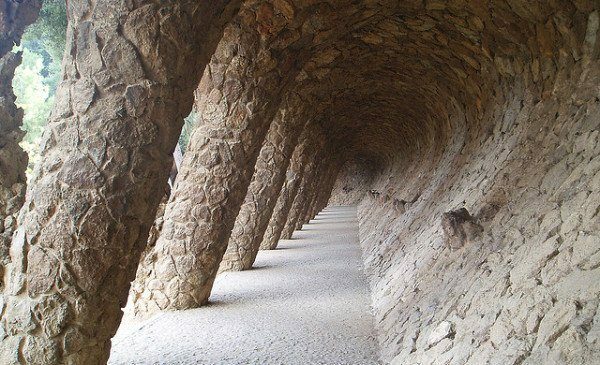 Before reading this post, my only exposure to Gaudi was the reference to his work in the movie, Vicky Christina Barcelona (which I loved, by the way). I’d love to see these fantastic buildings in person. Really enjoyed seeing these pics and descriptions. I haven’t seen the movie but I wouldn’t be surprised he was reference there. Barcelona is all about Gaudi! Norbert, you made my day. Gaudi and Hundertwasser are my favorite architects along with Klimmt being my favorite painter. They are all so full of fantasies, imagination and outrageous opulence yu can’t but gawk at their works in awe. 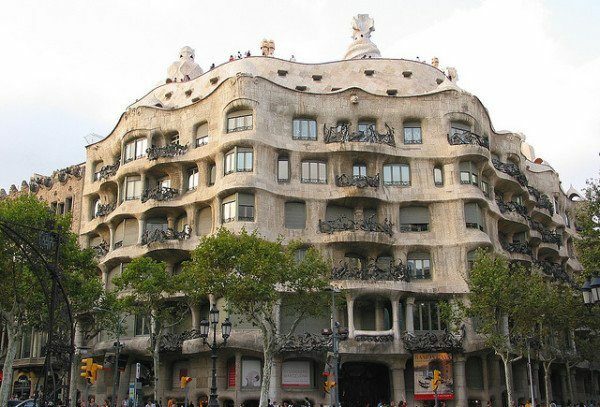 My long-term plan is to move to Barcelona someday… I absolutely love all of the Gaudi architecture there! I’ve been to the Sagrada Familia three times over the past two decades-it really has come a long way, but still has so far to go. I cannot wait to see it completed! I haven’t seen all of the buildings on your list, so this is great information. I find Sagrada Familia so interesting since it’s a work in progress and you actually get to see it evolve as time passes. I haven’t been back since 2003, so I know there will be so many new things to see in it. Barcelona is such a great city to live. That’s a great plan! I never knew that these beauties existed. I always learn cool things from you guys. Thanks, Norbert. I hadn’t heard of Gaudi before, but I love his distinctive style and will be sure to check it out when I’m in Barcelona later this year. As an architect, you must have loved this! AWESOME!!! What a great collection. We are hopefully heading to Barcelona in the fall, so I will definitely be getting in touch with you before we go. Great collection and awesome pictures. Definitely, let me know before you go! There’s a lot of great architecture and sights to marvel at when roaming around Barcelona. I love how deliciously creepy Casa Batlló is. Great post, Norbert. I loved Barcelona. Saw these amazing buildings last year. It’s so easy to get to Barcelona now from anywhere in Europe, as the cheap budget airlines nearly all go here!! So take a trip if any of you guys are near! Also go to the Picasso Museum!! Glorious! Ah, the Picasso Museum! Love it! He is one of my favorite painters. There I bought a small replica of the Guernica and his reinterpretation of Las Meninas of Velazques. Totally worth visiting. Oh great post & great pics!!! I am going to have to keep this post in mind for when I visit Barcelona. I have heard nothing but good things about this city & plan on spending more than just a few days there. You will love Barcelona. The city’s character and lifestyle feel so good, plus there is so much to do there! Those are awesome buildings. Did you take all the pics? I love #2! Maybe you could do a photo essay with them. 🙂 I know what a drag it can be to scan photos though. Unless you have your own scanner. Hmmm, I really don’t know. It would be interesting to know if there is any relationship. Haha… yes, not all Gaudi buildings are the most aesthetically pleasing, but that’s one of the things that made him so revolutionary and controversial during his time. A common claim that the word derives from Antoni Gaudí, designer of Barcelona’s Sagrada Família Basilica, is incorrect: the word was in use centuries before Gaudí was born. Barcelona wouldn’t be the same without Gaudi’s buildings. He created such a strong influence in the city. So beautiful! What an amazing thing it would be to be able to create huge practical structures out of the pictures in your imagination. Seeing these in person is on my bucket list. Barcelona just wouldn’t be the touristic hub it is today without Gaudi’s works. I visited Barcelona again this year for my B-day and I just think it’s the most beautiful city in Spain. I love chasing down and photographic architecture. Love Gaudi too…his buildings are scattered around Spain, but there is a great concentration in Barcelona–a city I have to get back to. Me too! Gaudi is such an interesting architect, and individual too. Yes, his mayor concentration of buildings is in Barcelona. It’s time for me to go back too! It’s been too long since I was there. Wow! Barcelona is an architects dream isnt it! Hi Christine – I recommend checking sites like airbnb.com and wimdu.com to check on the price of rental apartments. Good post. Going in July and this sums up all the Gaudi sites to see! Thanks, Adrienne! Hope you enjoyed it! I wish I’ll get a chance to see all these amazing structures very soon. It was very inspiring just reading through this post. Thanks for sharing. Thanks, Nicole! Hope you enjoy them! I wonder when the La Sagrada Familia will be completed. I believe it is around 2030. It’s funny, because I am not usually a big architecture guy, but my first time in Barcelona these Gaudi buildings really made a big impression on me, and this post really brings me back there. Pretty much saw all of the ones you listed except for the fountain, I guess I’ll have to track it down next time. I’m furious with myself for forgetting to visit Casa Calvet during our recent trip to Barcelona. I’d read about it a couple of times before and recall reading this post when I first starting blogging a couple of years back, but it slipped my mind on this most recent trip. I utterly hate big cities. There are a few nice people. It seems rather trite in some ways perhaps. Beautiful sites. World is full of beautiful creations, some are man made and some are created by god himself. Went to Barcelona in February. Weather was perfect….in the 60’s. Didn’t get to tour all 10 must see’s, but that will have to be another time and trip. I highly recommend Barcelona as a vacation stop. I just had a amazing vacation at Barcelona and Salou. I really enjoyed the beaches, palm trees in Salou, Barcelona shopping centres, Trip to Salou in small train/bus, Trip to MonteSerrat, Bus/TrainTrip to Barcelona city, Gaudi home and buildings designed by Gaudi and amazing Sagrada family structures. Do you have any suggestions for places to stay? My husband and I will be traveling with our 12yo and 14yo. Thanks for your help! The great architecture, perhaps this will be a highlight when referring to Barcelona. We just came back from Barcelona. Pictures don’t convey the fantastic details of Gaudi’s work. I see Brauhaus, Art Nouveau when I look at Gaudi. Most of all I see the brilliant modern architect Jeanne Gang. Check out her TED talk “Buildings that Blend Nature and the City”. Her fantastic skyscraper in Chicago Aqua owes a lot to Gaudi. Thanks, for the recommendation, Joy! can’t wait to go back and see the rest. 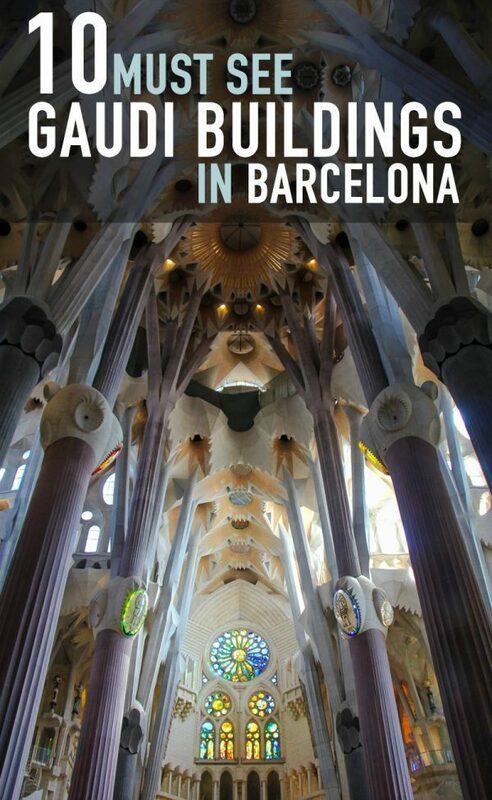 Read a bit about the famous architectural works of Gaudi before visiting Barcelona. Upon setting my eyes on the Sagrada Familia-its majestic beauty, artistic statement and history engraved in me a love of Barcelona?. I just came back from a trip to Europe and have had the pleasure of visiting Gaudi’s work. I didn’t know anything about this architect, and still don’t know enough, but I was absolutely amazed at his work, and our tour guide seemed like she was quite passionate about it. I’m curious if he inspired other architects, I certainly haven’t seen anything like it and wondered if others have been inspired to create living buildings like he did. I’ve never been to Barcelona, therefore, obviously I’ve seen only photographs and do not find them to be anything of joy and beauty. Perhaps they work well functionally or other redeeming architectural factors such as interior space planning, unique site orientation, etc. In May it was our third visit to Antoni Gaudi’s fabulous La Sagrada Familia and yet again we were in awe! The detail in this cathedral is mind blowing… from a distance, it looks very Gothic in nature but then you get closer and every single element leaves your jaw hanging. From the lighting, the tree-like columns, the sculpture… It’s safe to say we have witnessed a work of art in the making! 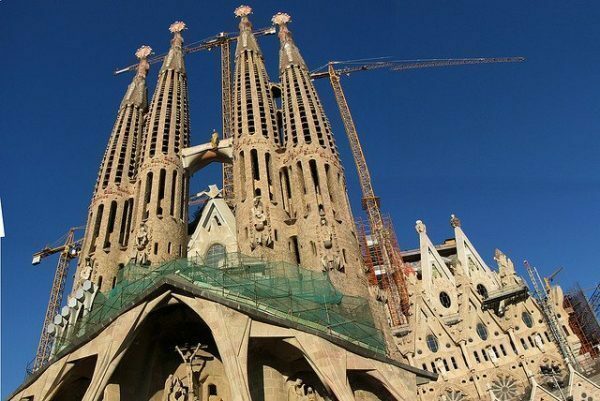 They’re aiming to finish construction by June 2026 – this will coincide with the 100th anniversary of Gaudí’s death. Really nice post and pictures. Thanks for sharing it Norbert! I visited Barcelona for the first time last year and loved it! It is a city that has something that everyone can enjoy – great food and wine, wonderful architecture, parks, beaches! It’s one city that I would like to go back to and explore more. You should see at least one time Barcelona Cathedral, Placa del Rei, or Roman Ruins etc.